Beyond Polperro, Fowey entrance is marked by a striking red-and-white daymark on Gribbin Head. Inside two 16th century forts, Fowey opens to an impressive harbour still used by real ships. No marina here, but plenty of visitor buoys and a detached pontoon off the east shore. Fowey’s streets and alleys are fun to explore and there are pubs and bistros near Albert Quay landing. 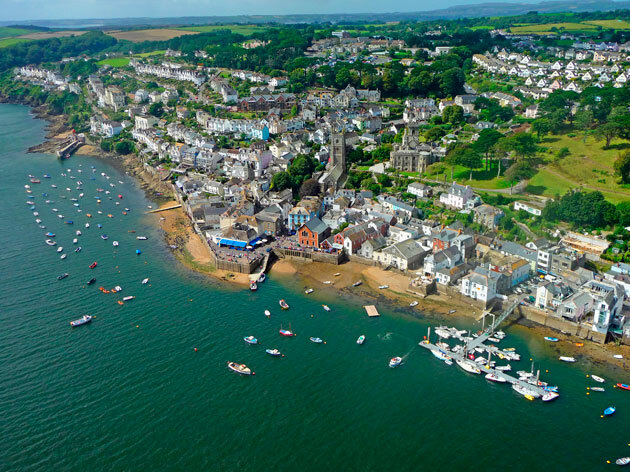 Polruan faces Fowey on the east shore, a very Cornish village with its own special character. Mixtow Pill (pictured below) is an attractive wooded inlet half a mile above Fowey, with a long pontoon linked to the shore. A riverside path leads south to Bodinnick village. We invariably make for Sam’s Bistro in Fore Street and immediately order the bouillabaisse and a bottle of house red! The Quay Café at Mixtow Pill is a gem for breakfast, lunch or dinner. 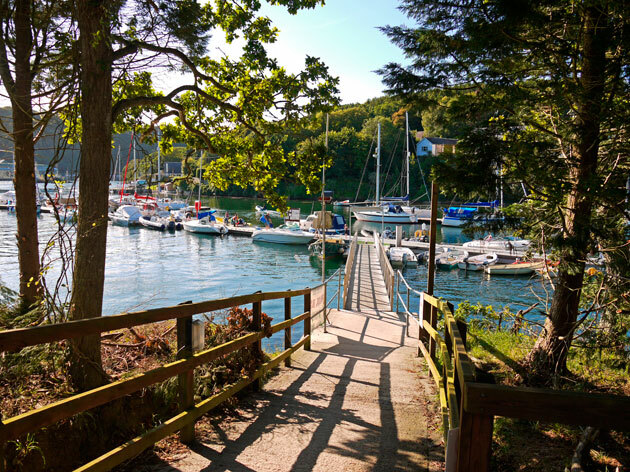 Take the quaint car ferry across to Bodinnick and The Old Ferry Inn.